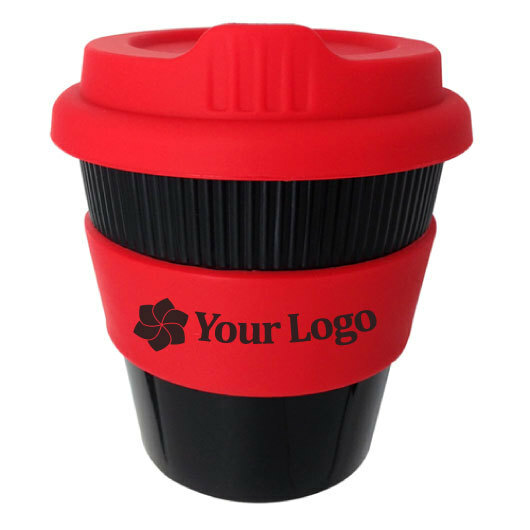 A fantastic value Eco coffee cup that's good for the environment, your wallet and your brand! 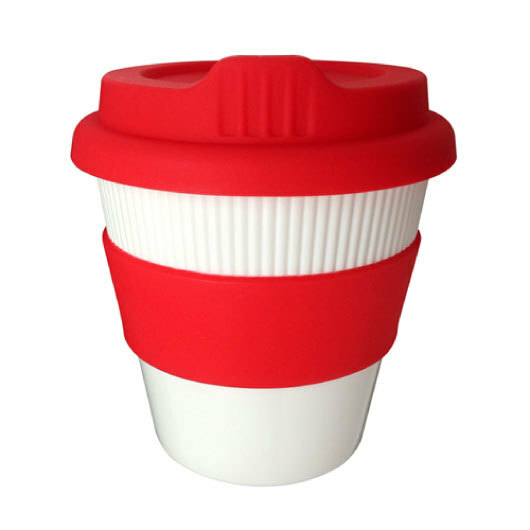 A quality re-usable coffee cup at an affordable price! 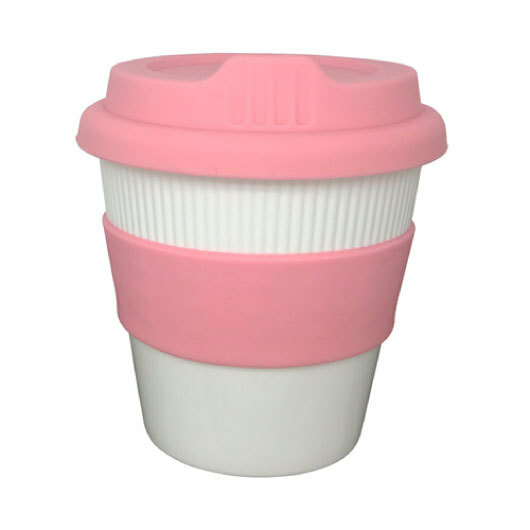 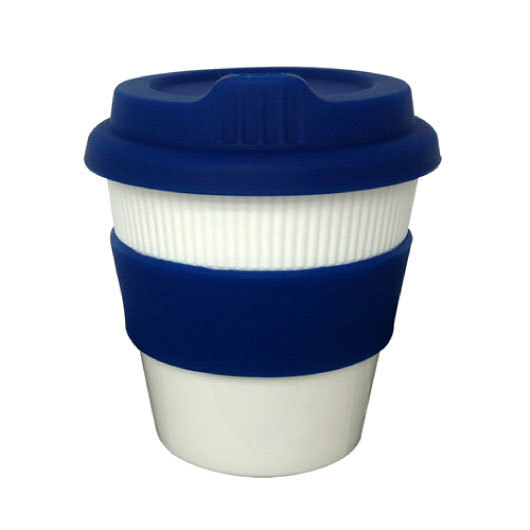 The Saver Eco Kuppa has a capacity of 8 oz (235mL) with a white or black plastic cup and silicon lid and grip band. 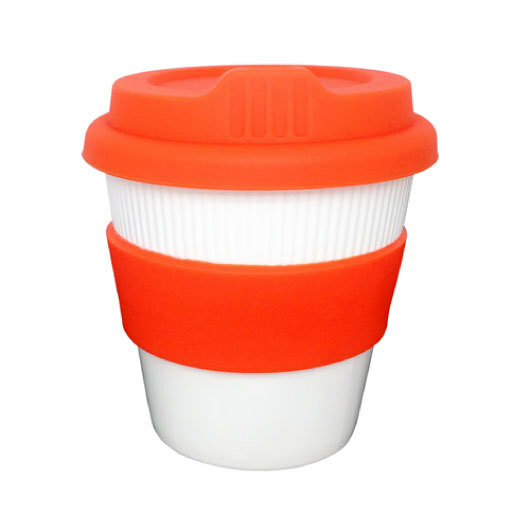 The cup is 100% BPA free, features a lid with spill stopper feature and can be mixed and matched band and grip colours. 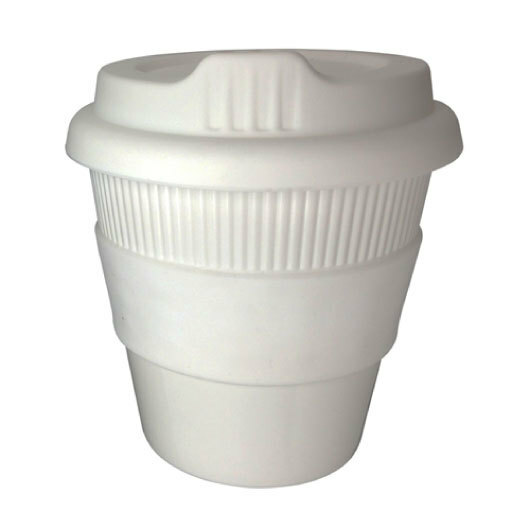 The cups you see here are costed on a 10-15 day service, we can also supply these on a 3 day or 24 hour service for an additional cost. 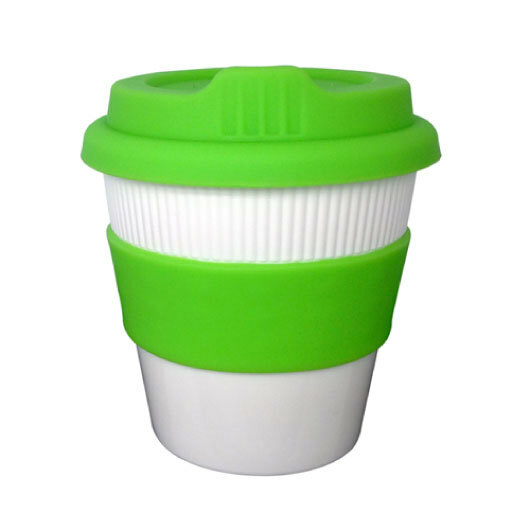 Let us know when your deadline is!